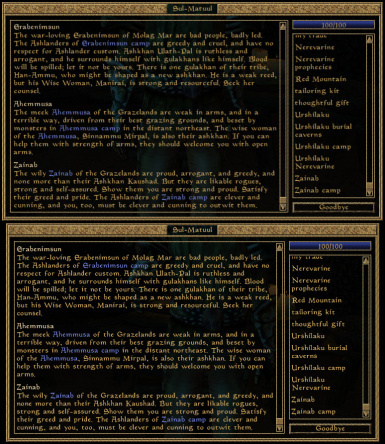 A high resolution replacer for Morrowind\'s Magic Cards font, used in most of the UI - menus, dialogue and the journal. This is a high resolution replacer for the Magic Cards font, used in most of the UI - menus, dialogue and the journal. It should provide improved clarity without changing the font size. 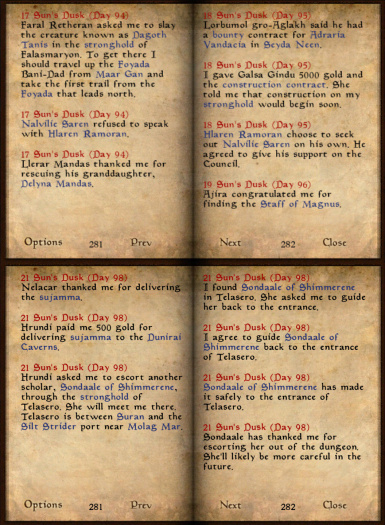 The font is derived from the original version specific to Morrowind, changed to be slightly heavier and blacker, as well as being double resolution. Letter kerning (letter pair separation) is improved for the most noticeable misaligned letters - BQRTVchkmnw. It also improves European translated dialogue by correcting all the misaligned accented characters, and ess-set. Fixes O z kreska and c z kreska in Polish version when used with MCP 2.0. 1. Extract archive to Data Files directory. 2. Your life has become one part less blurry. See specific readme if you have the Polish version, you will require Morrowind Code Patch 2.0. 1. There is a backup folder inside the fonts folder with the original font file. Copy it to the fonts folder. Bethesda Softworks, for the original font file. 1.1 - Fixes alignment of accented characters and ess-set. French/German/Italian/Spanish dialogue should look better now. - e / c character differentiation slightly improved.